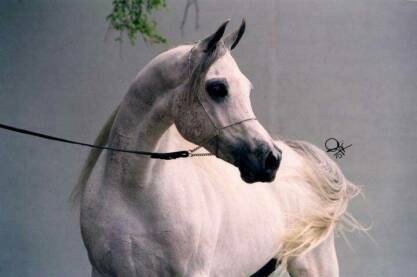 AK Khaleem (Moniet El Sharaf x Haala Sultana [x *Sultann]) last owned by Ravenwood Ranch, now deceased. 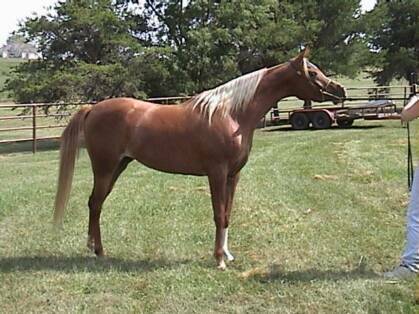 Ibn Layalia (Thee Desperado x Layalia [x Alidaar]) - now in the U.K.
'99 Flaxen chestnut mare (and yes she is nearly palomino! ), Straight Egyptian Blue List Al Khamsa Asil. Kuhaylan Rodaniyah strain. 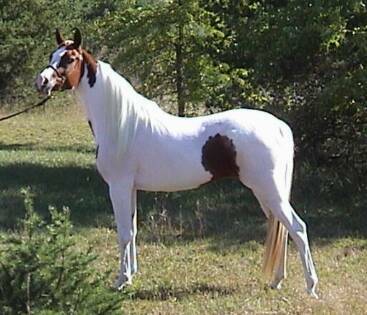 Exotic and beautiful mare - her stunning color is just icing on the cake! Rare foundation lines with Serenity and *Ibn Hafiza so close up! 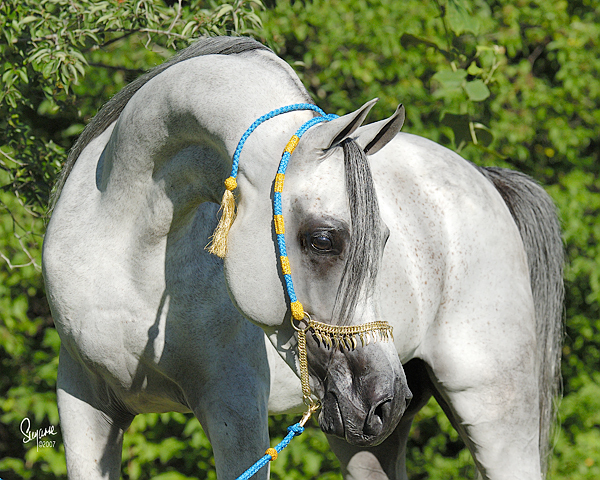 Top Ten at the Egyptian Event as a yearling and shown successfully since... and of course for her lovely foals! 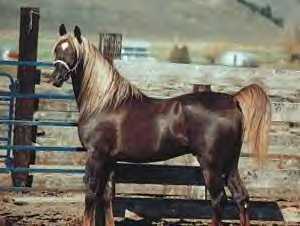 '96 Chestnut tobiano 97% Arabian-Pinto mare. 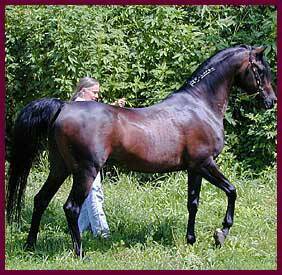 Ransom is a very typey top quality individual with wonderful movement and tail carriage. 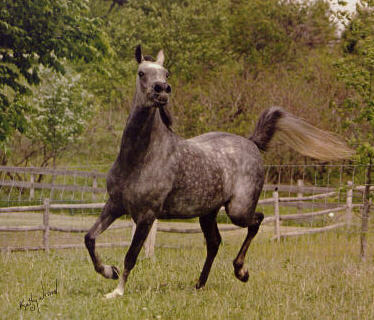 (Anchor Hill Faser x Elite Miryah [x Naddouma]) '94 grey mare, Straight Egyptian Asil. Dahmah Shahwaniyah strain. 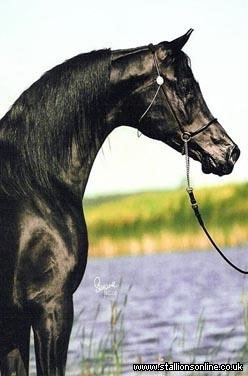 Exotic mare of rare bloodlines and an exceptional producer. 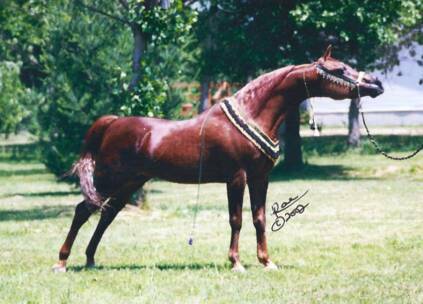 Class A Halter Champion mare! 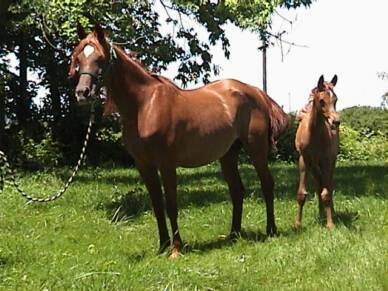 Had a lovely bay colt by Soudan Al Badi for '06.